Search this site makes finding something obscure so much easier. There are many books by and for chiropractors, mostly excellent. Heavy stuff on anatomy, but others that are about our history and the many inspiring people who have energised my profession. There is much reading material about exercise and osteoporosis, for example, and others that are light and inspiring. 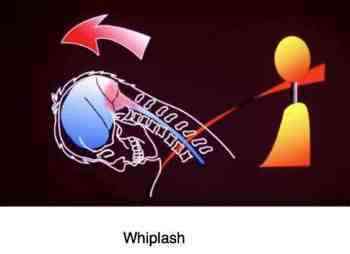 Search this site will also scan Chiropractic Books for research on whiplash. Or groin pain, or foot pain; whatever you're hunting for. Bernard Preston's disguise, my alter ego, has become paper thin. At my other site you'll also find material on whiplash, and many other things that fascinate me. Gliding, erecting a solar farm, vegetable gardening and the beauty and health of foods such as green beans and broccoli facts are all important to me. What's so healthy about radishes? They are definitely the easiest salad to grow in any summer garden but you do have to water them if you hit a dry spell. Have you ever thought about keeping bees? You'll find all this and much more. 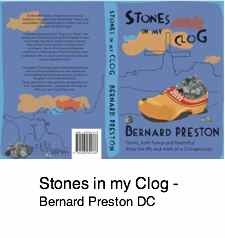 There's also plenty about chiropractic, and you may be interested in a page such as a day in the life of Bernard Preston DC; a walk through my clinic. What do we actually do? These are typical cases that face us on any given day; what makes me so excited about being a bone setter, which is what we were called several centuries ago; that which energises me. Here is my third chiropractic book, full of gems from the chiropractic coalface. These stories, written in Holland will keep you fascinated. They are light, bed side reading; how Hans lost his leg, aged only nine years old, from a WW II landmine, five months after the war had ended. Suffering did not embitter Hans, but life turned for the worse when an xray of his wife showed a large hole in the her pelvis. JAN TWO, the man supporting a favourite patient's arm turned out to be known other than the local priest; her lover too. A blood diamond merchant who lost his gem, and his finger with it. Just $2.99 buys you a fascinating glimpse of another culture, and a peep into what really happens at the chiropractic coalface. Enjoy!